Let’s take a look at the Russia shared mobility industry. Russia, the largest country in the world, has vast distances between each of its cities and should (in theory) be a world leader in shared mobility services. However, at only 315 cars per 1,000 people, it is far below the EU national average of 500. Shared mobility services have also been slow to adopt in the country, however, there has been a growing demand over the last couple of years as attitude towards cars and the value of ownership is changing. City dwellers are finding that car ownership has become an unnecessary financial burden, but in parts of the country, vehicles are still considered as status symbols. The differences in habits and values between large and smaller cities are considerably greater than in the Western world. Also, the Russian car market has not reached its point of saturation yet, which is why there is still room for growth in this sector and the potential for increasing the number of both privately and commercially owned vehicles is huge. Carsharing in Russia started back in 2013 in Moscow and St. Petersburg. There was, however, a demand for carsharing, particularly in Moscow where more than 300,000 customers subscribe to the various carsharing schemes such as Delimobile, Car5, YouDrive, AnyTime and BelkaCar. From September 2015 to May 2017, the number of carsharing trips undertaken by Muscovites exceeded 1.3 million, with the average carsharing trip lasting 37 minutes. By 2015, carsharing services were successful enough for Moscow city authorities to announce plans to expand the Russian capital’s carsharing fleet to 10,000 cars to combat traffic jams and serious congestion problems. In combination with the rise in cost of parking and government support, there was a carshare boom. According to Forbes, in 2017 the carsharing market in Russia’s capital quadrupled and is expected to grow another 70% with the hope of increasing vehicle totals up to 15,000. Currently there are 14 operators in Moscow, 10 of which entered the market in the last 8 months. The capital has a bigger carsharing fleet than any other city in Europe, and it’s used over 25,000 times a day. By year’s end, the total fleet is expected to reach 10,000-15,000 vehicles. By 2023, carsharing in Russia will be common in most cities, and operators will likely also offer related services like shared scooters and ridesharing. Due to a lack of car ownership and slow adoption of carshare services, companies offering rides have experienced huge growth in the Russia market. The Russian search engine giant, Yandex, has a ridehailing arm of the company called Yandex Taxi. It was founded in 2011 and has since partnered with ridehail giant, Uber. Demand for ridehailing services has risen almost 500% in 2017. Another ridehail service offered in 140 cities аcross Russia, Kazakhstan, Kyrgyzstan and Uzbekistan is inDriver. It is not a taxi company and does not take part in interactions among its users; instead, users set the price of a ride by themselves and choose from the drivers who respond to the request. Russia is also on-the-rise for ridesharing too, having recently overtaken France as the biggest market for French ridesharing startup BlaBlaCar. There are 15 million BlaBlaCar members in Russia, which means that more than one-in-ten Russian citizens have signed up for the carpooling service, and more than 1.3 million citizens are transported by this service every month. In 2011, about 12,000 taxi licenses were granted in Moscow which increased to over 82,000 by 2017. The taxi business in Russia is moving towards the organized sector with increasing participation of drivers opting for registered taxis and permits. Since 2014, the cost of using a taxi in Moscow has decreased 30% and the estimated average waiting time is now just 7 minutes. Some of the key players in the Russian taxi and car rental industry are Yandex taxi, Gett, Vezyot, Maxim and Hertz. The reason why taxi services are one of the most popular methods on transportation in Russia is due to the poor public transportation. Only six Russian cities have underground systems: Moscow, St. Petersburg, Yekaterinburg, Nizhniy Novgorod, Novosibirsk, and Samara. The extensive and decorative Moscow subway system, built in the 1930s as a showpiece of Stalinist engineering, remains the most reliable and inexpensive means of transportation in the nation’s capital. There have, however, been improvements with regards to public transit in recent years. Since 2010, more than 8,000 new ground transportation vehicles and 1,600 new metro train cars have been purchased. By the end of 2017, the share of new train cars being used on the metro will reach 37%, and ground transportation vehicles will be at 90%. The Moscow metro offers a special assistance service, and there are also “social taxis” to help the elderly and the disabled navigate the city. In 2010, Moscow had a transport crisis consisting of high traffic congestion during peak hours, ineffective passenger transport, and a lack of space for pedestrians and bicycle riders. Velobike, a Moscow-based bike sharing service was introduced and they offered “mobility for the last mile” as a way of combating this transportation crisis. 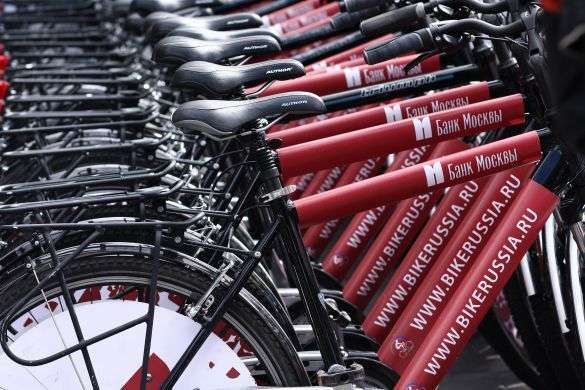 Citizens can book Velobike’s services as part of an intermodal ticket system, called the Troika card, which the Moscow government is developing, containing different kinds of public transportation including bikesharing. In 2017, users made 2.4 million trips bike trips in Moscow with the average trip being 21 minutes. Over 65% of trips are on weekdays and on average, one bicycle is used 4.2 times a day throughout the season. It is clear that bike sharing is hugely popular and successful, particularly within the larger cities in Russia, especially Moscow. Delisamokat is short-term electric scooter lease service available in Moscow. The scooters can reach speeds of up to 20 km/h and cover an average distance of between 15 and 20 km before they need to be recharged. Users don’t need a driver’s licence, any special equipment or skills, although wearing a helmet is recommended. What is important about the use of electric scooters is the environmentally-friendly aspect to get from point A to B. Another electric scooter provider in Russia is Samocat. Its founder Vasily Bykov, was inspired by the trend he had seen over the past several years in Moscow — citizens, fed up with traffic jams and long distances, started to use kick scooters as part of their ‘last mile’ commute to and from work. The scooters are designed using modular construction, meaning between 5 to 20 scooters can fit in various configurations in the small docking stations. They are powered by solar energy, do not require recharging and battery replacement, and all stations are integrated into a common network and managed using cloud computing pay. The app can be downloaded using free wifi provided at each station, making access to Russian citizens a breeze. Russia is a leader in the autonomous vehicle technology movement. The Russian government plans to allocate up to $1.1 billion annually for the development of the domestic automotive industry until 2025, which will fund electric, hybrid and autonomous vehicle research and manufacturing. 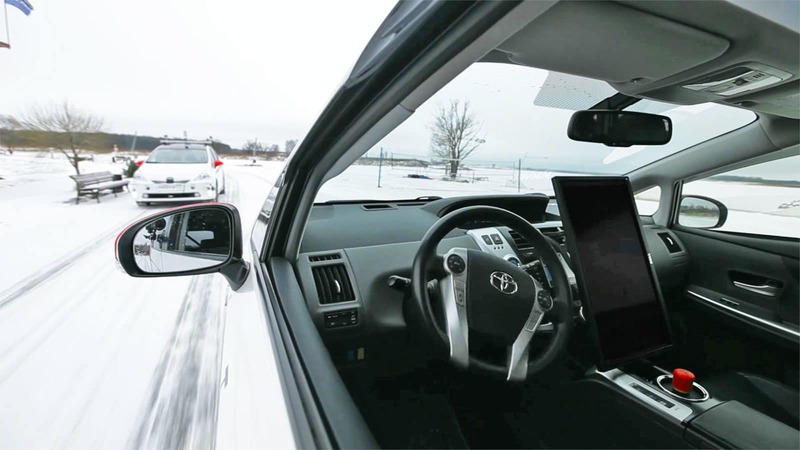 Technology giant Yandex has begun to test self-driving taxis in Innopolis, a small town built a few years ago to foster education in technology and entrepreneurship. Truck maker, Kamaz PJSC, displayed its autonomous, electric vehicles at the 2018 World Cup in Volga, where their buses collected passenger and travelled just 650 meters from Kazan’s “fan zone” meeting point to the Kazan Arena. Up until 2010, the traffic situation in Moscow was critical and one of the worst in the world. The Government of Moscow and Russian and international leaders and experts in the industry developed the State Program of Moscow Transport Development, which focuses on analyzing huge amounts of data to reduce loads on the roads by upgrading infrastructure and applying intelligent transport systems. With the implementation of these practices and technology, Moscow went from being the most congested city out of 400 in 2010, to number 13 by 2016. The speed of traffic increased 13% from 45 km/h in 2010 to 51 km/h in 2016 which is one of the best improvements in congestion globally. The city still experiences congestion during peak traffic hours, but the improvement has been substantial thanks to the ITS. The ITS controls over 2,000 video surveillance cameras, 3,700 road detectors and 6,000 traffic lights to provide real-time responses to traffic issues and situations, which means contacting emergency services, rather than waiting for citizens to call emergency responders or law enforcement themselves. In the next 5 years, Russia aims for carsharing services to be available in all Russian cities with a population of at least 1 million people. It will also start penetrating cities that have a population less than 500 thousand. The carshare operators currently operating will change and adapt to the market and will become serious logistic and transportation solutions by creating and offering new services, such as e-scooter sharing, ridesharing, delivery services and bike sharing, which can already be seen happening in the larger cities. Some carshare companies will leave the market within the next year and more will enter, so new names will be competing against each other. We also expect to see developments in technology supporting the integration of different modes of shared transportation, and the Mobility-as-a-Service (MaaS) sector increasing drastically as more shared mobility offerings come alive in the Russian market. Do you have a region you’d like to see covered in our Shared Mobility by Region series? We produce one article every month covering a new region, and would love to hear your feedback and input here.